In Britain, government policy has for many years been to encourage people to buy their own homes by offering tax relief on mortgage interest payments, with the result that the number of owner-occupiers has increased from 4 million in 1951 to 15 million in 1989. The majority of homes are houses, which outnumber flats by four to one. Many of the houses in Britain today date from the 1930s. The houses that today line the roads out of many towns and cities often date from this period. The 1950s and 1960s also saw a great increase in house building as the homes destroyed in the Second World War as well as the inner-city slums were replaced. In towns, there are three main types of houses: detached, semi-detached and terraced. A detached house standing in its own plot of land is usually more expensive than the others. A semi-detached house (also called a “semi”) is similar, but shares one wall with its neighbour, which is its “mirror image”. It is normally smaller than a detached house. Most of these houses have two storeys, with two rooms and a kitchen downstairs and the bedrooms and bathroom upstairs. A terraced house (or terrace-house) is one of a row of houses, often built n blocks of four or more and sometimes extending the entire length of a street. Many small terraced houses were cheaply built in the 19th and early 20th centuries as towns were rapidly expanding. Some houses built in this way are, however, much older. Bungalows (single-storey detached houses) are popular, especially with elderly people because there are no stairs to climb. They are often found in the seaside towns on the south coast, where many retired people live. Houses of all these kinds can also be found in country villages, but the traditional country dwelling is the cottage. This is usually a small, old, detached or semi-detached, often picturesque with old wooden beams inside, and perhaps a thatched roof and an attractive flower garden. Cottages were originally the simple homes of country people, and often had no running water or other facilities. Today, many of them have been modernized and are regarded by some people as ideal homes, not only for their “character” but also for their attractive rural setting. Flats are found mainly in towns, although they can also be self-contained units in converted country-houses or hotels etc. Modern flats are often “purpose-built” in the form of large apartment blocks or tower blocks, but many large houses in towns have also been converted into flats. Flats may be owned by the people who live in them, or rented from a private landlord or local authority. Local authorities are the main providers of rented accommodation. Most towns have “council estates” groups of council houses laid out some way from the town centre. 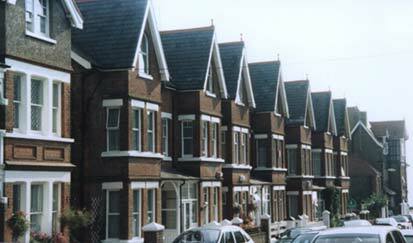 A typical council house is either semi-detached or terraced. Many large blocks of flats were built in the 1960s as part of a programme to improve the housing situation. There has been a steady increase in home ownership in recent years, partly because council house tenants are now able to buy their house after living in it for a certain number of years. The building of new council houses, on the other hand, declined sharply in the 1980s. A recent development has been the growth of “sheltered housing”. 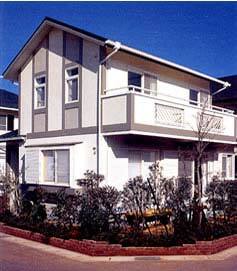 This consists of blocks of modern flats or groups of small houses specially designed for elderly people. They are usually situated near the centre of a town, close to shops and other amenities, and have a resident warden. In Britain, house prices have generally risen faster than other prices and incomes and houses have been a good investment, so that people often move houses in order to own a bigger property. By the end of 1980s, however, the rapid rise in house values seemed to have come to an end.